G. Ken Holman - Crane Softwrights Ltd. This page is a collection of short biographical sketches and a link to photographs that can be used in conferences to introduce Mr. Holman as a speaker. Also included are a couple of personal items based on feedback requesting links to more details. See the LinkedIn supplemental information page to read up on the status of Ken's work these days. for the streaming hands-on XSLT/XPath 2 class can find it here. Mr. Holman doesn't have a very active blog, but he does share some professional and personal stories through Google+ at Ken's profile page. See also the published essays he has announced on LinkedIn. BBILLER - "Supply chain on the blockchain"
Mr. Holman also developed and delivered training material for his previous employer. Mr. G. Ken Holman is the Chief Technology Officer for Crane Softwrights Ltd., a Canadian corporation offering XSL, XSLT, XQuery and XSL-FO language training, and general SGML and XML related computer systems analysis services regarding text markup technologies to international customers. Mr. Holman is the editor of the Universal Business Language (UBL) specification, an invited expert to the W3C and member of the W3C Working Group that developed XML from SGML, the current Canadian chair of the ISO subcommittee responsible for e-commerce documents, a former international secretary and former Canadian chair of the ISO subcommittee responsible for the SGML family of standards, the founding chair of the OASIS XML Conformance Technical Committee, the founding chair of the OASIS XSLT/XPath Conformance Technical Committee, the founding and current chair of the OASIS Code List Representation Technical Committee, the current XML technical lead and co-chair of the OASIS UBL Technical Committee, the author of training videos and electronically-published and print-published books on XML-related technologies, and has often been a speaker at related conferences. Prior to establishing Crane, Mr. Holman spent over 13 years in a software development and consulting services company working in the NAPLPS and the SGML industries. Mr. G. Ken Holman is the Chief Technology Officer for Crane Softwrights Ltd., the editor of the UBL specification, member of the W3C Working Group that developed XML from SGML, the founding chair of the two OASIS XML and XSLT Conformance Technical Committees and current chair of the Code List Representation Technical Committee and current co-chair of the UBL Technical Committee, a former international secretary and national chair of the ISO subcommittee responsible for the SGML family of standards, the current chair of the Canadian committee to the ISO for e-commerce documents, the author of training videos and electronically-published and print-published books on XML-related technologies, and a frequent conference speaker. Mr. G. Ken Holman is the Chief Technology Officer for Crane Softwrights Ltd., the editor of the UBL specification and the current chair of the OASIS Code List committee and co-chair of the UBL committee, the former secretary of the ISO subcommittee for the SGML family of standards, the former chair and member of other international committees, a published author and an accomplished speaker. Active in ISO standardization since 1988, Mr. G. Ken Holman has represented Canada in a number of different roles, including International Secretariat for the ISO/IEC committee responsible for SGML and XML, and a working group expert in the ISO/IEC eBusiness committee. A founding participant in the OASIS Consortium in 1993, Mr. Holman has been the founding chairman for a number of technical committees including Code List Representation, XML Conformance and XSLT Conformance, while actively participating in other technical committees. Mr. Holman is the current co-chair (and XML technology lead) of the OASIS UBL Technical Committee and editor of ISO/IEC 19845 Universal Business Language. As an invited expert to the W3C he was on the committee that created XML from SGML. He is accredited by Canada as an expert contributor to UN/CEFACT. He has been an active editor in the creation and maintenance of a number of ISO/IEC and OASIS specifications, including supporting the publishing process of specifications for both organizations and participating in the definition and support of the OASIS technical committee process. His additional volunteer work includes community-oriented activities near home and humanitarian education work in Africa. Ken graduated from the University of Waterloo (Ontario, Canada) in 1981 with an Honours Bachelor of Mathematics degree in Computer Science (Co-operative Programme). Ken's high school days from 1971 to 1976 were in Scarborough (east Toronto) at Woburn Collegiate Institute. He began programming in earnest using FORTRAN IV on June 30, 1971 using an IBM 1130 at Cedarbrae Collegiate Institute. Any fellow alumni from either institution are welcome to contact Ken at gkholman@CraneSoftwrights.com to reminisce about old times. Here is a small set of differently-sized photographs that may be used for web sites and conference proceedings. 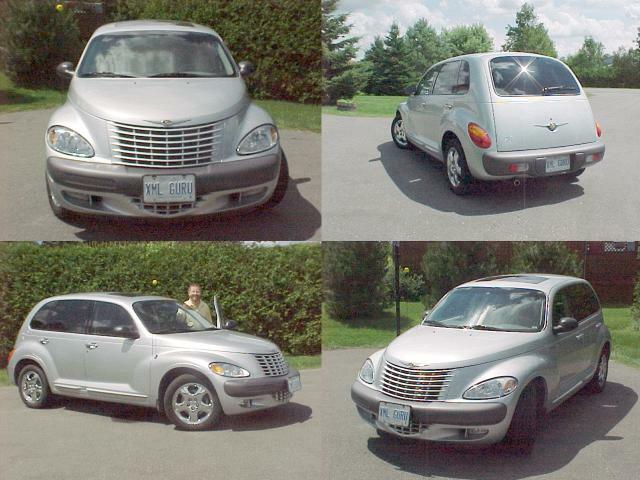 I was lucky to get a new 2001 PT Cruiser (in June'2000 after only an eight-week wait and one of the first ones in the Ottawa area) that was a lot of fun to drive around. It is long gone now, but I still use the license plates on the new car. My wife bought me the custom Ontario license plates as a gift, and it has been fun to be interrupted by people in town to ask me about XML because they see the plate. This license plate was also accepted into the The Internet License Plate Gallery. 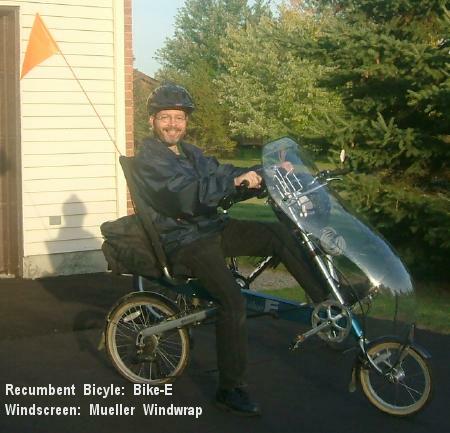 In June'2002 I purchased a recumbent bicycle after not riding a bicycle for about 20 years. Ken is very privileged to be able to travel the world for vacations. He and is wife are avid ocean cruisers, recently completing around the world over seven years with the final segment in the South Indian Ocean (destinations and sights). Also, Ken has had the opportunity to climb Mount Kilimanjaro in Africa with his son and hike the challenging Inca Trail in Peru and the west Amazon. In the village of Longido, Tanzania, in Kilimanjaro's shadow of the morning sunshine, is a humanitarian education project named TEMBO. Project TEMBO is a Canadian registered charity that built and supports TEMBO. TEMBO is the Swahili word for "elephant" and is an acronym for "Tanzania Education and Micro-Business Opportunity". It operates entirely by volunteers. The project supports Maasai women and young girls. He returned to Longido for the month of June 2018 to tutor mathematics in the village at the community centre built by TEMBO. This is the school break period for the region and Ken plans to return in June in the years ahead. If you are considering supporting humanitarian education work in Africa, please consider supporting Project TEMBO and, in particular, designating your donation to the work of the Learning-in-Longido Community Centre. For Canadian tax deductions, the charity registration number is #856825872RR0001. Ken is an experienced courier transporting across international borders stem cells and bone marrow from unrelated donors. He volunteers for the Ottawa Chapter of the Bruce Denniston Bone Marrow Society, a registered Canadian charity. Please consider supporting the important work done by this enthusiastic group. For Canadian tax deductions, the charity registration number is #121284665RR0001. Ken and his wife volunteer their performance music for seniors' programmes for the City of Ottawa. "Behind the revolution", Ottawa Citizen, November 17, 2005 by Peter Hum.